I'm really great at starting projects and, because of that, a lot of projects end up on the back burner or forgotten about entirely. So as not to allow that to happen, I thought it was time for a complete update on all the animation projects I've started in recent years (yes, I said years) and have still to finish or discontinue. I'll work backwards from newest to oldest. These projects I've not mentioned in this blog before or have briefly mentioned in passing. 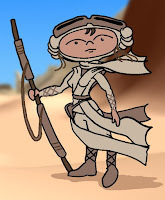 I briefly mentioned that I was putting together an animated parody short featuring Rey from The Force Awakens that was based upon the style of old Road Runner cartoons. I have a partially complete script and storyboard for the project so there's still a chance this will get made. 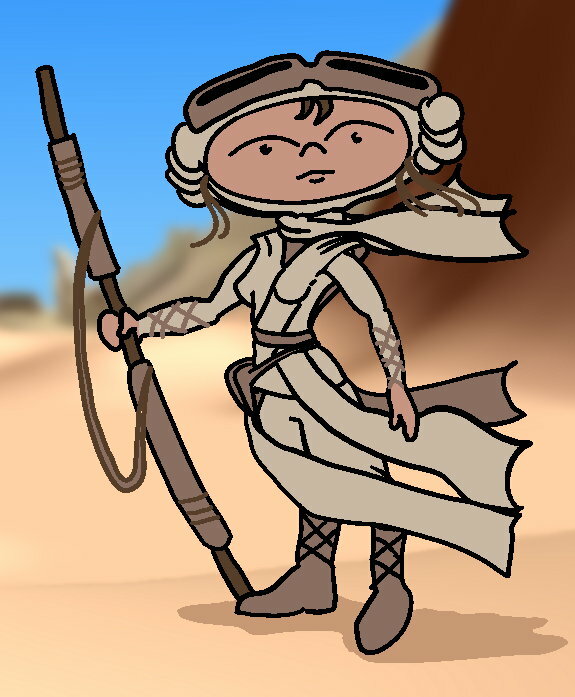 What is more certain is that the Rey character rig (who I'm naming 'Ma-Rey Sue') is currently on my drawing board and progressing daily. In fact the character is easily over 60% complete at this point. At the time of writing I still had to go through and adjust all her hand sprites (after doing a straight import and recolor of all the hand sprites I used for Reddy the color monkey) to look more feminine. Then I have to create all her eye and mouth sprites. To finish off I need to work out how to add her flowing robes and create her staff weapon. All going to plan she should be done by mid November. This is a completely new animated short designed to showcase Reddy, one of my Color Monkeys. It's a very short, short that is a simple joke based upon Infinite Monkey Theorem (where if you put an infinite number of monkeys in a room with infinite typewriters they conceivably could type the complete works of Shakespeare). The project has been completely rough draft, storyboarded and was waiting for me to finish creating Reddy's CTA3, G3, character rig - which I have. Work is currently progressing daily. I'm not too sure when I expect to be finished but I'm hoping by the end of November, early Decemeber. 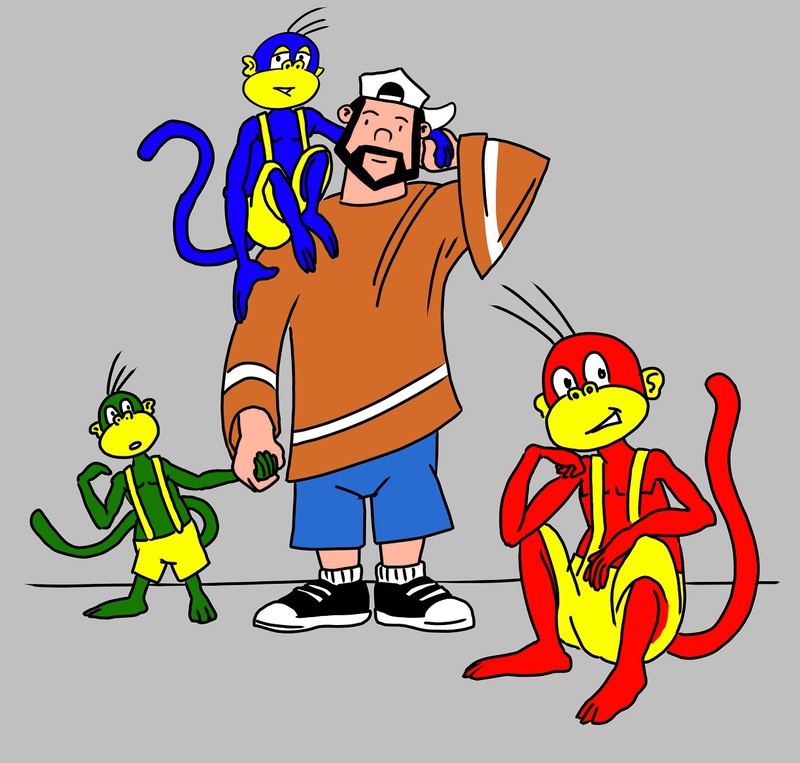 Kevin and his Color Monkeys. Although nothing has been started script wise yet this is an ongoing project that I am definitely working toward making sure it happens. Obviously it hinges on my color monkey CTA3, G3 characters being created. Since that's done I'm definitely a step closer. However I can't really make a start proper until I have their 'Dad' character, Kevin, made and rigged as a CTA3, G3 character. He's next in line after Ma-Rery Sue. Once he's done I can start building a series of animated shorts around him and the three monkeys. Watch the video diary below for a little more info on the above recent projects. From here on in are projects that have been mentioned in this blog and have yet to have any kind of update or closure (i.e. be officially discontinued). I've already said this series has been discontinued for now but I just wanted to say Froyd is not forgotten and will be back in some form or another. What I'd really like to do is redesign him entirely as a G3 quadruped character. This would allow him to walk around and generally do a lot more than just sit and talk. As I've said previously I don't want to say this project is dead. I still want to get back to it with a new script. Working against it is Reallusion's release of iClone 7 earlier this year (or was it late last year?). I did upgrade from iClone 6 to 7 but, for whatever reason, Reallusion is hopeless at making it easy to port your content library between version number upgrades of their software. I've yet to port over all my content library and projects into iClone 7 (and my library is huge, so it's not a quick task). This has put a complete hold on all iClone projects as a result. It is completely beyond me why Reallusion can't supply an app to port your content across or just use the existing folders instead of making a whole new batch each version. May have to admit defeat on this one. I haven't looked at this in years at this point. 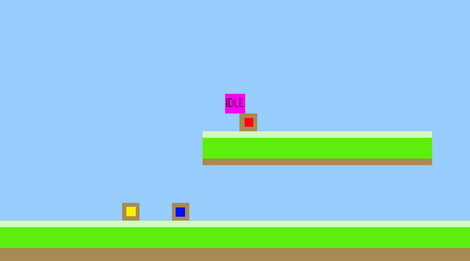 Still hopeful I may get back to it but I'd have to relearn the game creation software before I could even make a fresh start. 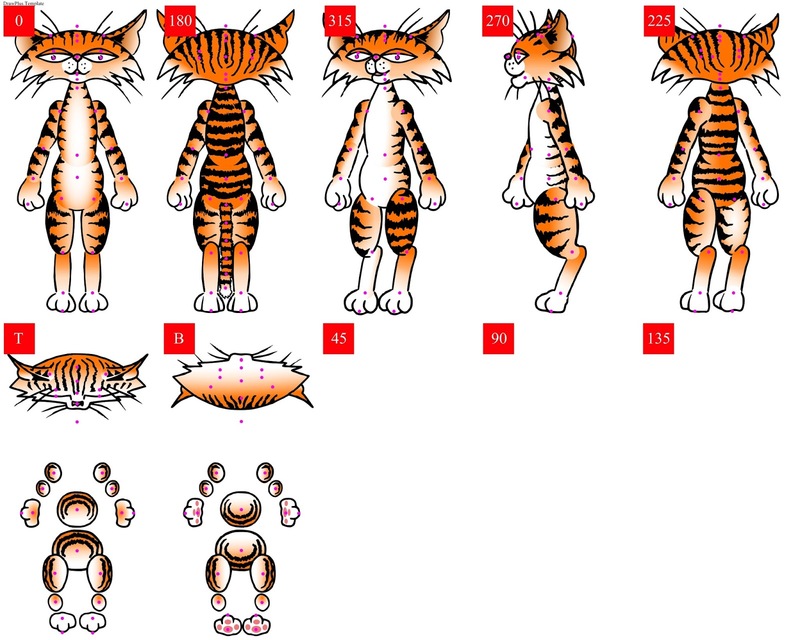 Creating JAC Cat as a G2 character almost broke me and my interest in creating characters for CTA2 until CTA3 and its G3 characters came along. I'd still like to convert JAC to a G3 character rig, or maybe even complete the G2 version, since he's almost there, and CTA3 introduced a simplified facial animation system that works with G2 characters. At this stage I haven't looked at him in years though so it may not happen at all. 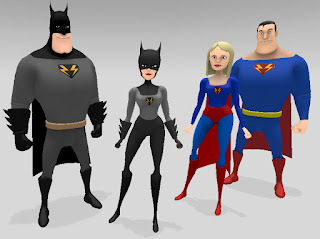 Bat Storm, Bat Flash, Charge Girl, and Super Charge. I haven't mentioned my Bat Storm series in quite some time. 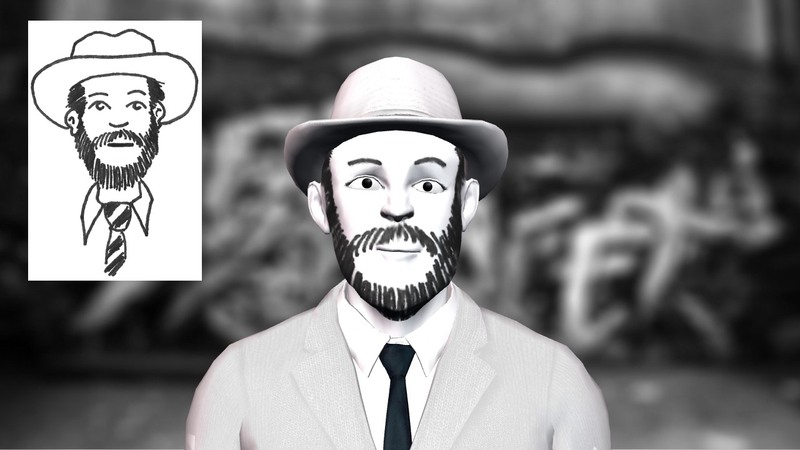 The original second story was abandoned part way through the creation of episode 2 years ago, largely due to the restructure of GoAnimate (where the series was being made). 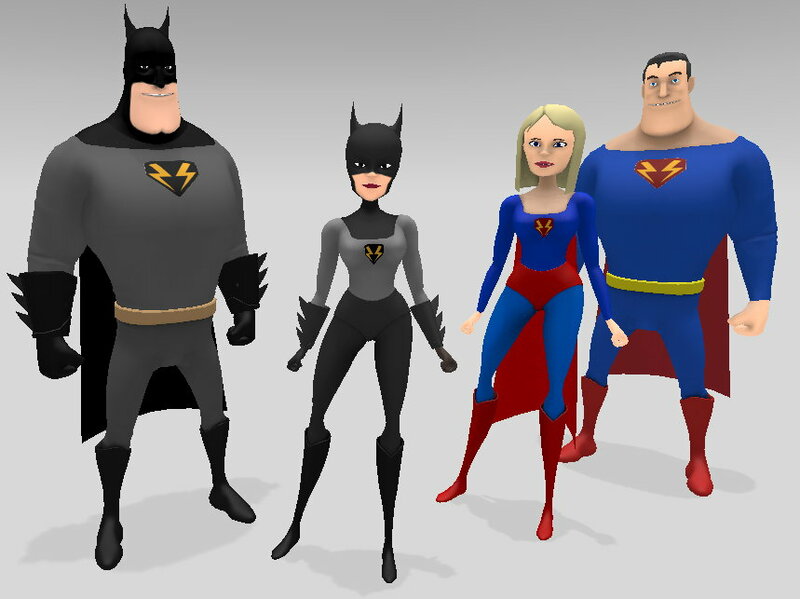 I was then going to resurrect the series using Muvizu's 3D animation studio. However Muvizu has since gone into receivership. Whilst their downloadable application and site still works I'm not confident it's a good idea to start anything new on their platform going forward. I have not given up on Bat Storm and all the other characters that made up his stories. 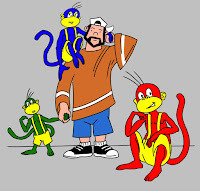 My plan is to include them in my color monkey series as guest characters or even spin off shows eventually. I just wanted to note that you will see Bat Storm again. I think I've covered everything. If you are a long time reader or follower of my work, and have been looking forward to a project I've started at some point and appear to have completely forgotten about, please leave a comment letting me know. Love the look of Rey! On a complete separate note, I'm trying to create a cartoon series with cta3 and I have two questions I would love your input on. My workflow is as following: script it out, create scenes with cta 3, create sound with garageband, import sound on cta 3, finalize video with iMovie. Do you have any advice on how I can improve the workflow or does that look pretty standard to you? Is there any other software that you would recommend to include in the workflow? My other question is regarding subtitles, do you know if there is an easy way include subtitles to videos that include that bouncing ball that follows the words spoken? Thanks for writing this blog and sharing your experiences! With regard to your work flow, if you're just creating the animation as a one person production team then whatever process works for you is fine. 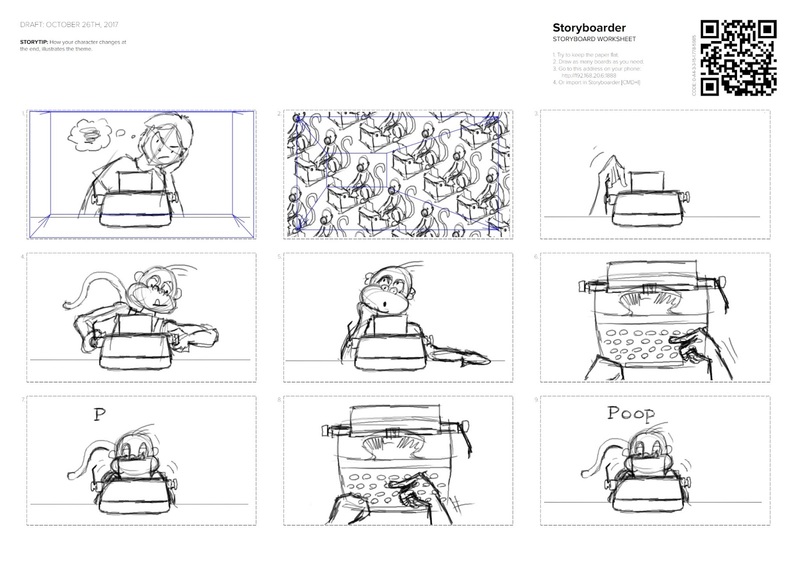 - Storyboard the script (rough drawings). I use Springboard for storyboarding which is PC only. 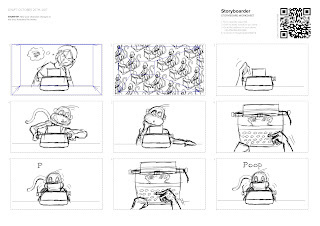 There's a new, free storyboarding program called Storyboarder (that I recently reviewed in this blog) that has a MAC version. - Refine storyboard using screen shots of sets and props assembled in CTA3 scene files. - (Optional) Sometimes I'll create an animatic of my storyboard complete with a rough sound mix. Doing this can help give you an idea of whether the final animation is working/flowing. - Animate the scene files. The only sound I import to CTA3 is character voices so the auto lip syncing can do its thing. I'll also animate any non consecutive scenes that use the same background, characters and camera angle in one project file which I cut up later in my video editor. - Assemble all the scenes in my video editor. - Add any additional sound effects, music, narration etc. 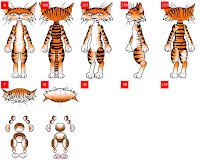 - Add any other transition and other visual effects. I'm entirely PC based and have never used iMovie. 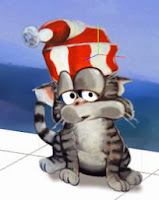 I did a search on youtube for a bouncing ball tutorial for iMovie [click here]. You may already be aware of the video. If not I hope it's useful. Beyond that I don't really know. I imagine someone may have a plugin to simplify the process but I couldn't find anything. 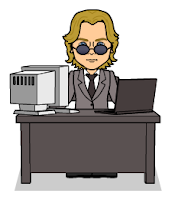 your bitstrip avatar looks a lot like your goanimate one. Probably because they're both based upon a specific version of myself that I try to create in any new Avatar creator I come across. i.e. grey suit, black tie etc.